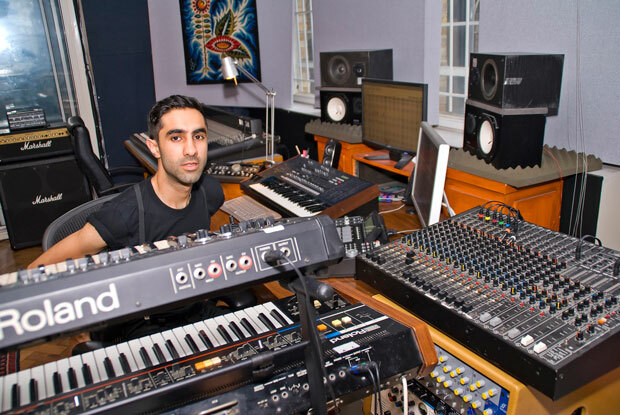 26year-old London producer Amir Amor has a finely tuned ear. Working with artists as disparate as Ed Sheeran, Plan B and Scrufizzer, this beatmaker/ songwriter and artist is an incredible talent that we at G-Shock are very, very big fans of! We catch up with Amir in his Major Toms studio to find out what 2012 has in store not only for himself but those who he's working with. Oh My! A female duo signed to 679 recordings, I've been producing most of their stuff, and writing it with Example. Plan B: Paint It Blacker mixtape"
Rudimental: This is my artist project, there's four of us in the crew. We're going to start playing some festivals later this year, it's gonna be a mad show. We've got some very big plans for this one. Watch out for our remix of Lego house for our pal Ed Sheeran, and our first single dropping on Asylum this year. My own solo A.Amor record. The first track is called I'ma Do Me featuring the incredible Scrufizzer… This one's pushing the boundaries! I'd describe my sound as... Always evolving. The best song I've written to date is.... I don't know cos I haven't written it yet! My favourite artists in the world are... Prince, Wu-Tang, Sun-Ra, the Kinks... This is too random to complete! The toughest thing about my job is... Working under pressure to tight deadlines, sometimes you have to fight through the writers block. The toughest decision I've made so far is... Jumping into music full time... or was it the easiest? Rudimental: I started off producing them then ended up joining the band. Rudimental have a few massive anthems coming out this year. Yogi: An incredible producer and songwriter, and my regular collaborator. He already did Traktor for Wretch 32, I predict he's going to hit the charts a few times this year. Oh My! : My favorite pop group, they just brought out song called Bad Date. They make really cool pop music that reminds me of when Fun Boy Three and Bananarama got together in the '80s. They're set for big things this year.